Ravi Shastri seems to have got his way against the CAC as Bharat Arun is all set to join team India as the bowling coach. Speaking to CricketNext, a senior BCCI official said that the COA had agreed to Shastri's request to appoint Bharat Arun as the full-time bowling coach and the former India pacer's first assignment would be the Test series against Sri Lanka in the Island Nation. "The COA has decided to grant Shastri his wish as it is no secret that the head coach will have to work with the bowling coach on a full-time basis and there should be clear communication and understanding between the two individuals. The Cricket Advisory Committee's decision to appoint Zaheer Khan as the bowling consultant (overseas) stands and a call on that will be taken after the new four-member panel of the BCCI meets and decides on matters of appointment and the financial details. Shastri too has said that he will be more than happy to have the likes of Zaheer come over and share his inputs with the boys as per requirement. It is no case of one man's word against the other. Zaheer wasn't ready for a full-time job and Shastri wanted a full-time bowling coach. Thus, this arrangement," he said. 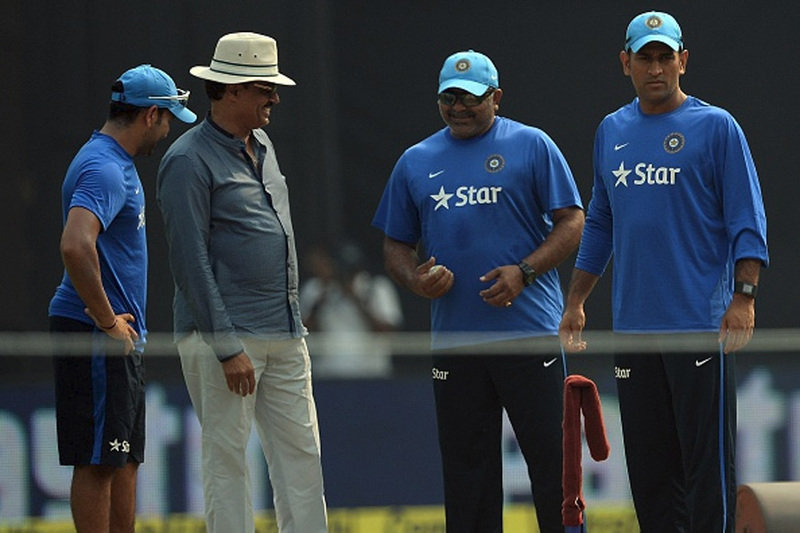 Cricketnext had earlier reported that Shastri was interested to get in Bharat Arun as the bowling coach. Speaking to CricketNext, a senior BCCI official had said that while Shastri had no issues with both Zaheer and batting consultant (overseas) Rahul Dravid helping the team, but he wants people of his choice to be with the team on a full-time basis. “Shastri has made it clear that Zaheer can spearhead the unit, but he needs someone like Arun to be around the team and see that what Zaheer suggests is implemented. Shastri is set to meet the Committee of Administrators on Monday and he will put forward his request,” the official informed. Shastri has made it clear that while he is happy to have the services of former India stars, he wants full-time assistant coaches according to his choice and not that of the CAC. “The BCCI can certainly bring in guys like Zaheer and Dravid as consultants from time to time. Their experience is invaluable. But as far as a full-time support is concerned, I will need to decide on it because it is me who will be working with them for next two years,” he had clarified. Arun had replaced Joe Dawes in 2014 and was there with the Indian team till 2016 when Shastri wasn’t appointed coach and Anil Kumble was handed the head coach’s post. Arun and Shastri go back a long way having been buddies since their U-19 days back in early 80's. It was on Shastri's recommendation that former president N Srinivasan gave a go-ahead to Arun's appointment with the senior team when he was the bowling consultant at the NCA.